Hello. It's been a bloody age since I was last on here and I know you've all been waiting with baited breath for my next post. Well, rest at ease as after a year and half I am back. Where have I been? Glad you asked! Over the last year I've been really busy working on commissions and as is my way social media tends to take a back seat. I'm trying to get better at this as from a marketing point of view going quiet for over a year isn't great. The plan is to update this blog once a week (every Tuesday) with a new post. I've already got another blog but I felt it made sence having two. One for more business related posts. I.e. What type of marketing I'm having a crack at and how it's panning out. Stuff like that. The other as a check out my work type blog which Tumblr is great for. 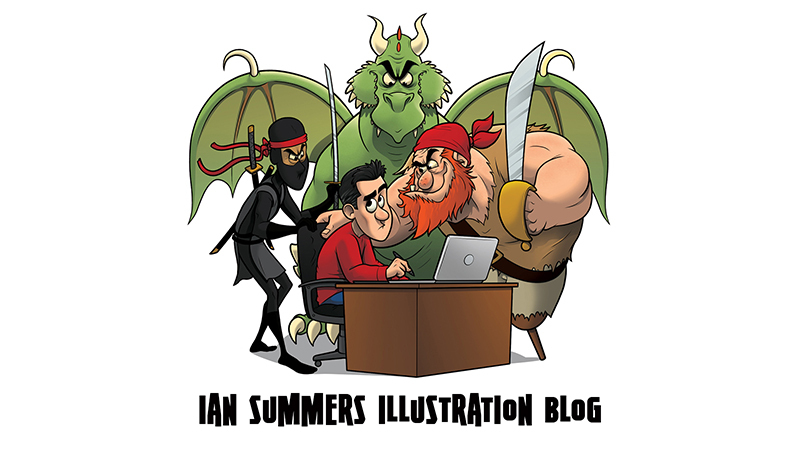 So that'll be all the work I'm really pleased with mainly personal projects and fun illustrations. Why not follow both! See you next week and have a awesome Christmas!